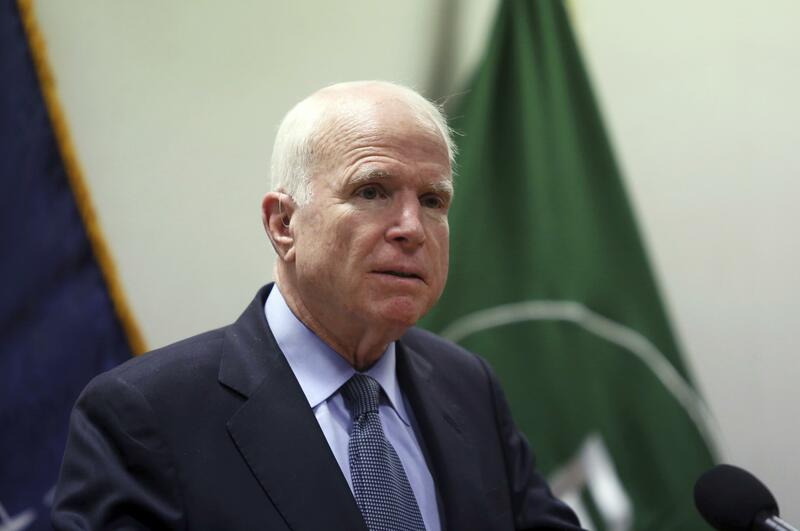 PHILADELPHIA – U.S. Sen. John McCain has been named this year’s recipient of the National Constitution Center’s Liberty Medal for his “lifetime of sacrifice and service” to the country. The Philadelphia museum announced Thursday that the award would be given to the six-term Arizona senator. McCain says he’s humbled to receive the medal and that it has been his greatest privilege to protect and defend the Constitution. Former Vice President Joe Biden will bestow the award to McCain at a ceremony Oct. 16. McCain joined the Navy in 1958 and rose to the rank of captain during his 22 years of service. In 1967, his plane was shot down over Hanoi, Vietnam, during a bombing mission, and he spent years in a Vietnamese prisoner of war camp. Published: July 6, 2017, 7:42 a.m.